For this round of Kill Marry Refurb the girls at This Happy Place and Mouse On The Mind are tackling thrill rides! Not only that, but they're branching out and including other blogs in the fun as well. The "kill" attraction seems fairly obvious to me. Test Track has had a troubled existence since the beginning. Besides the lengthy delay in the attraction's debut in 1999 this headliner is constantly breaking down, despite its many shorter refurbishments. You would think that at some point in the last decade they would get the ride system figured out…but nope. Thats not even considering the extensive theme based refurbishment that the attraction went through last year, in which very little of the actual attraction was changed. Lots of plywood cut outs have now been implemented to update the interior... this is a delay in the inevitable demise of this waste of space attraction. All thrills aside, my main complaint is aesthetics and the attraction's huge footprint at Epcot. Not only is Test Track ugly, but this thing is freaking enormous. This is a pretty straightforward pick. 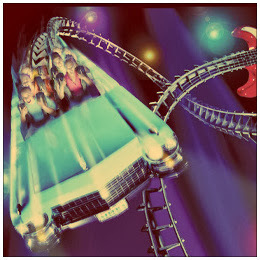 I really enjoy the actual thrill aspect of Rock'n' Roller Coaster. This is one of the few attractions at Disney's Hollywood Studios that I actually enjoy…but you know what I don't enjoy? Aerosmith. Besides the fact that thematically Aerosmith doesn't work on Sunset Boulevard, the band is super corny. Yes, corny can work inside a Disney park (see below…) but Aerosmith is unintentionally cringeworthy. The pre show video alone is enough to make me hang my head in shame. Plus, the outside of the attraction is just hideous, especially considering its placement next to the gorgeous Tower of Terror. Disney, what were you thinking? Get these guys out of here. Idea: dawn of Jazz roller coaster. This was a very close call…and probably the hardest of the three options to narrow down. There are so many thrill rides at Walt Disney World that I love. (technically Maelstrom IS Epcot's first thrill ride…) But when it comes down to it, Primeval Whirl is the clear winner. This attraction is both goofy and thrilling at the same time. The theming is over the top, colorful, gaudy, and everything that Chester And Hester's is all about. The color scheme never really seems to fade, despite being exposed to the Florida sun, making me think that the semi annual short refurbs are doing the trick. So a lengthy refurbishment is never really needed. PLUS for such a fun attraction this ride rarely has a long wait time, so you can enjoy it as many times as you like. Lets get married. So there you have it, our thoughts on some of the more popular attractions at Walt Disney World. Are you surprised by our picks? Let us know over on Twitter! I am not too surprised by these picks at all. But I love your reasons for them. When we are doing these posts, I have the worst time explaining WHY. But you did well. Totally agree with the first two a ton (I do like Aerosmith though... just not here). Primeval Whirl is a lot of fun, and I don't feel like it gets enough love. Do you think it's because it's in that corner of AK? I have no idea. 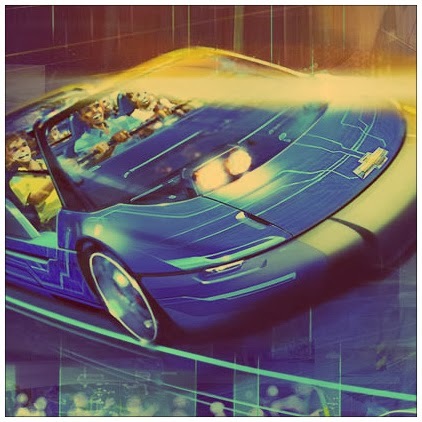 Another Test Track kill! Boom! I am a little surprised about your marry, but I do like Primeval Whirl a lot. My favorite part about this attraction is that it's so underestimated. If I really want to fool a newbie, I always send them there. They think I'm sending them on a kiddie coaster, but they come off with their heads spinning. PS - love the blog! New reader. Finally, someone else shares my love of Primeval Whirl! so glad you guys played this month!! and really glad that you married Primeval Whirl! i love that little guy! I need to give PW a try... it's Hipster Approved.